Inti Eco Lodge will be an alternative to conventional tourism, as we invite people to come and spend their stay in a unique and authentic place. Through this place, we will educate and sensibilize not only our guests but also the community around sustainable development, and an alternative way of life without consumerism, while enhancing healthy, and local products. The aim is to create a community based on self-sufficiency, where everyone can live healthfully, learn how to live sustainably, entertain, relax, heal, develop projects and express creativity. We would like to be 100% ecofriendly. The center will simply group like-minded and interested people who want to live and share great experiences together in a sustainable environment. It will be a place of rest, expression and discovery. We will pursue our goal of living in a better world and making people more aware of it, by showing that we can live off of what nature gives us; not only in terms of construction, but also in our daily lives. Inti Eco Lodge will propose various activities in areas dedicated to embrace people, such as yoga, meditation, dance and massage. Other spaces will be devoted to creativity development like music, painting, sculpting and different workshops to discover natural medicine or products, cooking, diets, gardening and how to grow your own fruits, vegetables and medicinal plants. The center will provide a natural swimming pool and guests will be invited to go fishing with the locals. 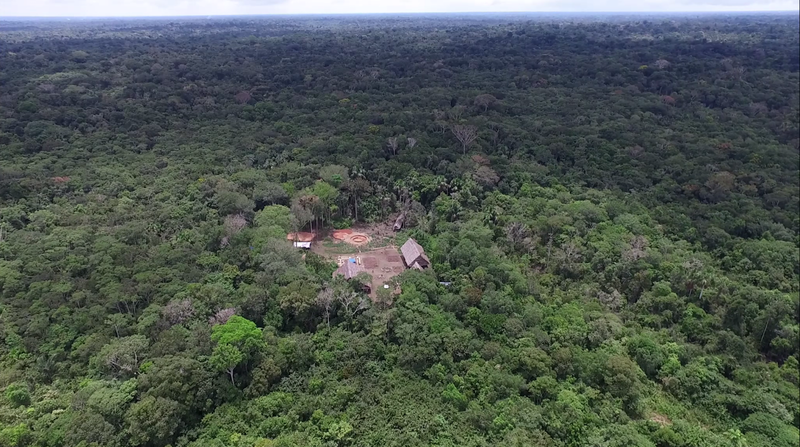 The Maloca (sacred place) will be dedicated to shamanic ceremonies in order to allow interested people to reach a certain spiritual level during their stay, but also for their diet and meditation period. The price of your stay at the lodge will vary depending on your accommodation, activities and budget. Though it will be very flexible and approachable, our purpose is to attract people and make the lodge accessible for all. Different sleeping options will be available: a dormitory (with beds or hammock spots), basic bungalows (one queen size bed or twin beds with private toilet and shared bathroom), superior bungalows (one queen bed or twin beds with private toilet and bathroom) and luxury treehouses. We assure you that we are going to make the experience a unique one for all travellers, vacationers and soul searchers. 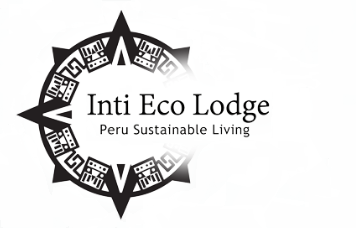 The majority of benefits from Inti Eco Lodge will go towards NGO’s, reforestation, animal welfare, Peruvian tribes, neighboring communities, the employees, and to improving and maintaining the lodge. 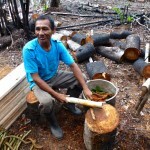 Inti Eco Lodge will be made out of wood taken from trees of the land, with each tree being replaced immediately with a new one. We use recycled materials found in Iquitos and its surroundings. Rainwater is treated and used repeatedly and solar energy will provide electricity (photovoltaics). We are building a greenhouse and outdoor space for organic crops that will be productive all year. 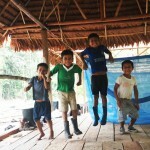 We are the first lodge in the Amazon Rainforest to be using the Earthbag Construction Method. This is a unique and sustainable kind of architecture! The construction is made with bags filled with natural materials such as adobe (clay, sand, sawdust and gravel). The advantage of this kind of construction is the Earthbags efficiently insulate the building. Clay mineral is the major composition of river sediments in the Amazon basin, and that’s why we chose this set of minerals for our bio construction. The greenhouse will also have a Canadian well, which is a type of geoventilation. It consists of passing fresh air through pipes in the ground in order to cool the greenhouse. We will set up an evacuation system (sewage) that will not pollute the earth or the surrounding rivers. Water will be reused for outdoor plants, fruits, and vegetables. Thus, the « black water » of kitchen sinks (containing solids) will go directly to the septic tank to be treated and reused in the outdoor botanical cell. On the other hand, « grey water » (water used once) from showers and bathroom sinks will fuel the growing of fruits and vegetables in the greenhouse. A natural pool will operate through a system of solar pumps. It will consist of two sections, one for swimming and one for purifying the water by the mineralization of organic matter by aquatic plants. We are building a greenhouse suitable for equatorial climate of the Peruvian Amazon that will produce fruits and vegetables throughout the year. We will apply a fundamental concept from Earthship: « the grey water » from showers and sinks, once purified, will be reused for watering our crops in the greenhouse. This water recycling system allows us to not only save resources and protect the environment, but also to produce a healthy diet. After a few years, the quality and variety of production will prove to be profitable and allow us to be independent. With the help and knowledge of neighboring communities we will use the land for organic crops and to grow medicinal plants. We are to build a place that suits and fits the environment and its people by using all that it gives us. Our goal is to adapt ourselves to the land and befriend nature, while leaving the smallest ecological footprint possible. 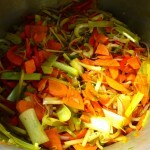 The compost we made allows the fermentation of organic products, which is then incorporated to the soil for enrichment. We will also use banana trees around the compost to lower its water levels, which will lead to better yields and improve soil properties. 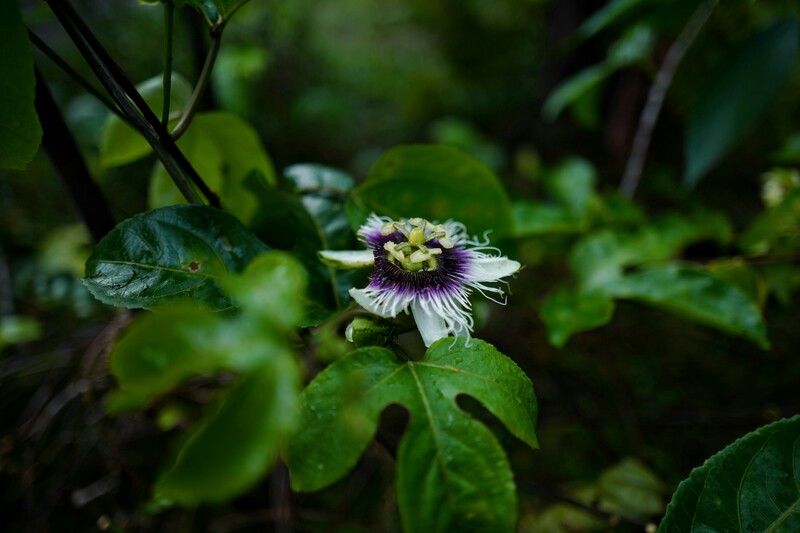 Indigenous Cultures of the Amazon have developed an extraordinary knowledge about the healing properties of medicinal plants, especially those for its purgative, healing and visionary effects. 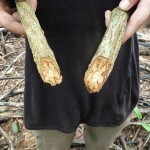 These are called « Master Plants » and include Ayahuasca, Tobacco, Shiric Sanango, Toë, Ajo Sacha, Oje, San Pedro, and more. The mystery is out of 80,000 plant species in the Amazon, how did shamans discover the medicinal use of these plant combinations? 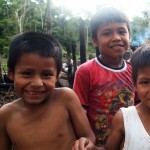 It is their belief that if they fulfill certain conditions of isolation and follow a prescribed diet, these plants are able to « teach » them how to diagnose and cure illnesses, how to perform other shamanic tasks (prophecy, telepathy, cleansing, healing) and how to use medicinal plants, usually through melodies or icaros. Iquitos is one the most famous places where you can find and make use of the shamanic plants with practitioners, shamans or curanderos. The reasons vary but there are some common themes. One is the need to reconnect with the past, a desire for continuity with the consciousness of ancient times. There is also a desire to be more connected with nature, not to be destructive to the planet and reintroduce the sacred in their lives. For people interested in ancestral use of traditional rituals, and guaranteeing cultural continuity and its therapeutic virtues, Inti Eco Lodge will offer ceremonies and diets with our shamans/curanderos. We are building the center with the help of volunteers from all over the world. It’s a great experience to gather people from different backgrounds, ages and professions, but all sharing the same interest. Some have no knowledge about construction but just the will to learn and others have experience and skills in construction, architecture, biotecture or permaculture. There is no requirement to join us. Together, we can bring this project to life! 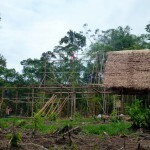 The profits will allow us to improve the lodge and assist the neighboring communities, but will also go to reforestation, education, NGOs and Peruvian tribes. We currently exchange ideas with our communities on how to build and live more sustainably, sharing knowledge for the better of the ecosystem. We also talk about teaching alternatives to the usual evacuation of water polluting the land and the Amazon River, by opting for composting toilets and treating and distributing wastewater. With these communities we share water and plant care techniques, promoting mutual aid. Providing work and food, we blend our communities because we have so much to learn from each other. We are not trying to invade the land or industrialize the local communities. Instead, we want to reconnect with nature and all it has to offer. We’d like to thank you all for the amazing support! Our Facebook page Inti Eco Lodge has been buzzing with activity as we are followed by over 12,000 people now. The project has created a global craze. Now that our social networks have created a buzz, several articles have been published (see in Media). The First public TV channel came in September 2015 and will come back in 2016 to film the evolution of the project. The documentary will be released soon on TV and online (we will keep you updated about it). This is a huge success for us and we would like to thank all of you. The international interest from different media elements and most importantly, volunteers, has been overwhelming. Thanks a lot for the donations in 2015! You brought this project to life! We hope to still receive some help in material, advice, and donations in order to keep up the sustainable development, and to be a teaching center for everybody!